Landscape lighting provides a myriad of benefits, ranging from safety to aesthetics. 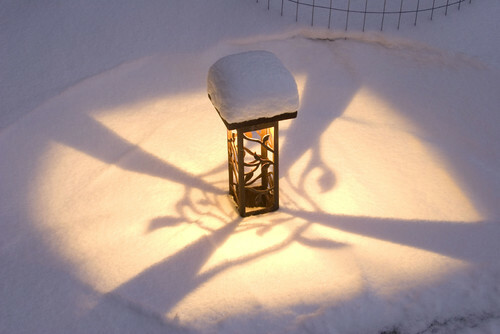 During chilly months, landscape lighting can also help fight winter doldrums, creating a comforting, ambient glow around your landscape. With a few simple modifications, our Lifescape Colorado landscape lighting services can provide energy-efficient lighting solutions to enhance safety and prevent ice slippage. 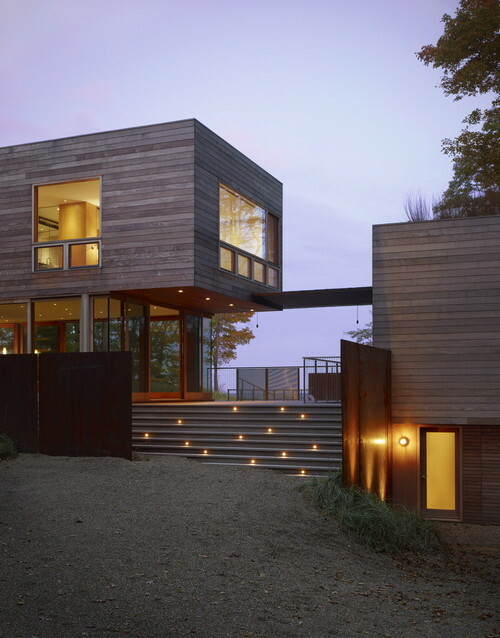 Your outdoor lighting can be both functional and artistic. You can select artistic lamp posts to line your walkways and stairs. They look beautiful by day and at night, and they also cast a unique glow. 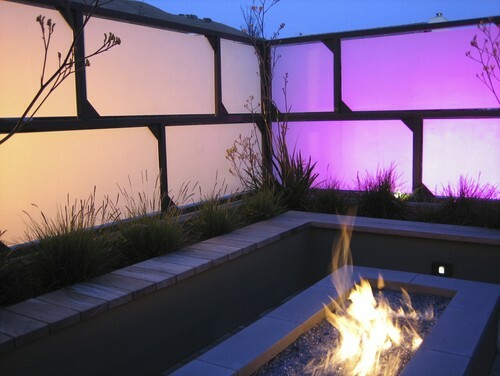 Backlit panels are a another way to help define patio and pathway boundaries, while providing an illuminated work of art. Lights are an integral part of nighttime stairway and walkway safety. This is especially true for our cold climate, where slick ice can be hidden under pockets of snow or under the guise of dark. Modern lighting plans can incorporate elegant, understated safety lighting right into the stairways themselves. These small lights provide sufficient lighting for safety without creating a harsh glare. Optimize your lighting plan to highlight some of your favorite and most picturesque landscape features. 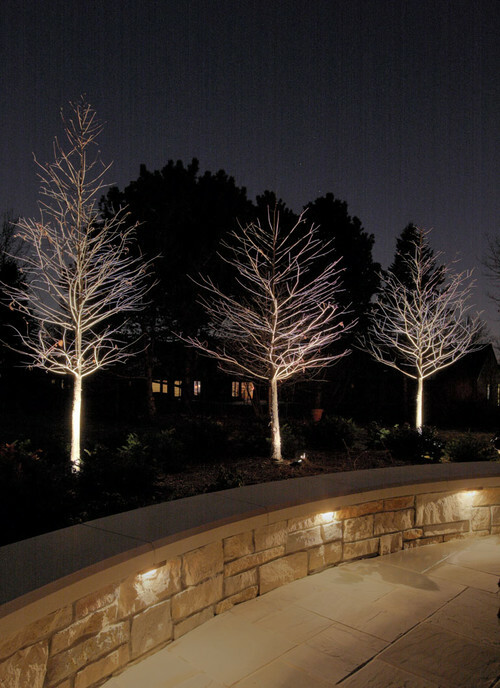 You can use landscape lighting to show off a postcard-worthy tree or to transform a line of stark, barren trees into sculptures. The right uplighting, downlighting and backlighting can turn everyday landscape features into works of art by night. After the safety issues have all be taken care of, and the appropriate features have been highlighted and lowlighted, you can focus on lighting for ambiance. Colored lights on the patio add a festive atmosphere, while solar twinkle lights lend an element of magic. Once your lighting plans are finalized and your landscape is illuminated, make sure you have a maintenance plan in place. Lifescape Colorado offers a variety of landscape maintenance services and enhancements to keep your landscape looking fresh year-round. 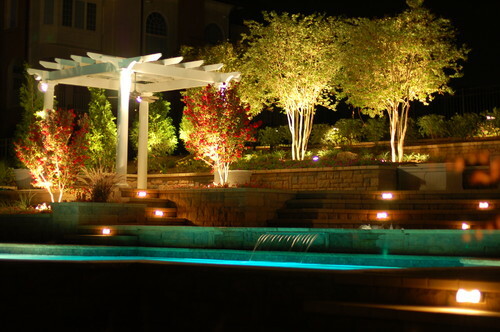 Contact us to learn more about our Colorado landscape lighting services. We’ll help to keep winter’s dark at bay!